This is a guest post by Lia of Practical Wanderlust. Most folks visiting California are headed for 2 spots: San Francisco, or Los Angeles. And while both of those famous California destinations are totally rad and I highly encourage you to visit them, don’t neglect the Central Coast! California’s Central Coast is centrally located, appropriately, directly in between San Francisco and Los Angeles: a perfect 4 hours in either direction, in fact. Meaning it’s the PERFECT place to stop on your scenic Highway 1 Road Trip, and one of the best weekend trips in California. 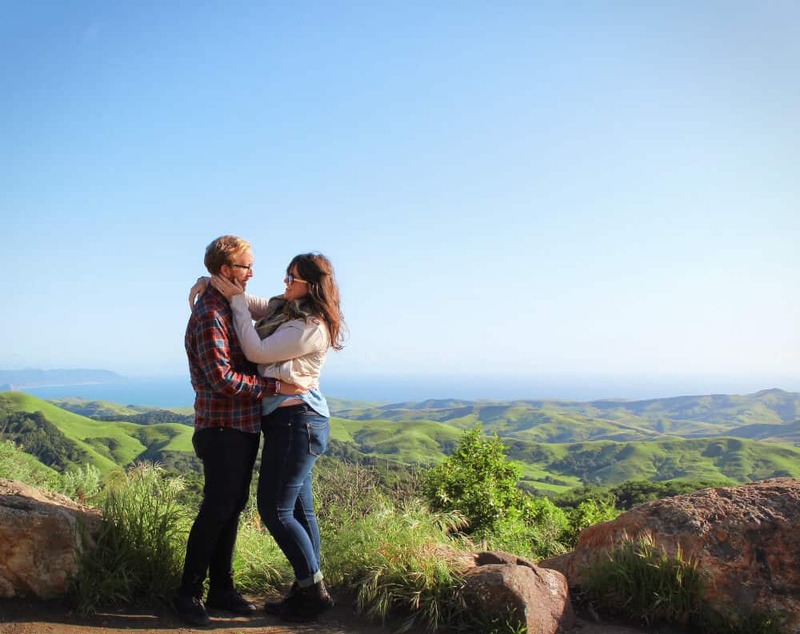 Here are 10 adorably romantic things to do on the Central Coast. Romance isn’t always about relaxation and peacefully gazing into one another’s eyes. Sometimes the most romantic activities are the most heart-stoppingly, terrifyingly, thrillingly fun adventures! If you and your boo are the adventurous types, head to Pismo Beach, rent an ATV at Sun Buggy and prepare to hold on for dear life. Dune buggying is basically like being on a roller coaster, only there’s no track … or anything else to stop you from catching legit air as you fly over the dunes. Ahhh! Sharing a kayak is incredible romantic…. So long as you’re both decent at kayaking. Otherwise, wear your bathing suit and prepare yourself for the inevitable. Anyway, kayaking is hella adorable, and on the Central Coast, it’s extra romantic. 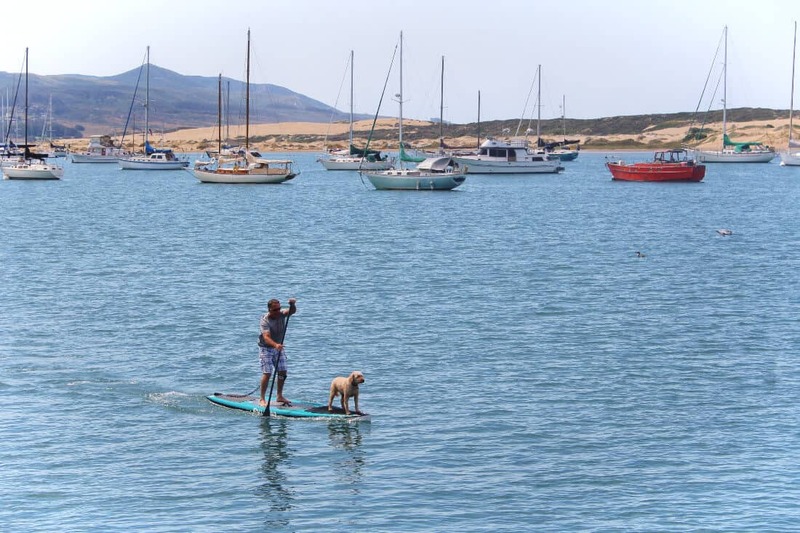 Rent a kayak at Kayak Horizons and paddle your way through Morro Bay past otters with babies perched on their tummies and barking sea lions to the sand spit across the harbor. Don’t forget to bring a picnic lunch and a bottle of wine to share! There is a never-ending stream of romantic AF restaurants in the Central Coast! Here are our favorite spots to share a romantic meal. Windows on the Water, Morro Bay: Just like the title implies, this romantic, fancy restaurant is the perfect place to dine on fresh seafood (from Morro Bay, of course. All of the seafood here is local) while overlooking the peaceful water in the harbor. If you’re lucky, you’ll be able to watch otters and sea lions play in the water and even catch the sunset! Cass House, Cayucos: Cass House serves up farm to table, ocean to plate dining. 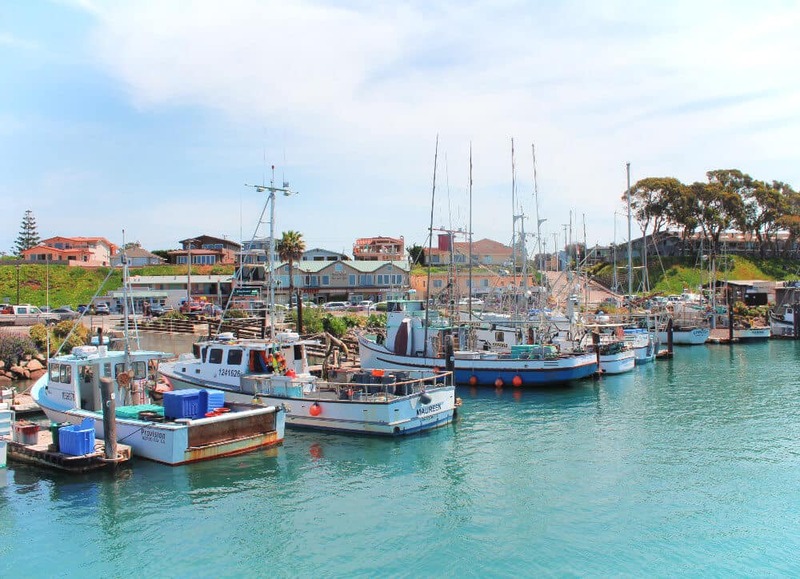 Located in a historical house in the tiny, seaside town of Cayucos, the menu is built off of local food and changes seasonally. If you like the restaurant, you can stay in the on-site bed & breakfast, or even get married there: it’s a wedding venue, too. How romantic is THAT?! Madonna Inn, San Luis Obispo: The best word to describe Madonna Inn is “kitschy.” The 2nd best word is “pink.” The Madonna Inn – no relationship to Madonna, it’s just the owner’s last name – answers the age-old question: what would happen if Dolly Parton designed the Barbie Dreamhouse? Visiting the Madonna Inn is an activity in and of itself. From the hotel, complete with themed rooms, to the luxurious spa, to 5 (!!) different options for food and drink, Madonna Inn offers everything a couple in search of some elaborate, over-the-top kitsch could possible want. We recommend visiting for dessert: you absolutely must order a slice of the Pink Champagne Cake and the Black Forest Cake from the bakery. Bonus points if you pretend you’re getting married (at Cass House, possibly?) and act like you want a wedding cake tasting. Just don’t say we sent you. Be cool. 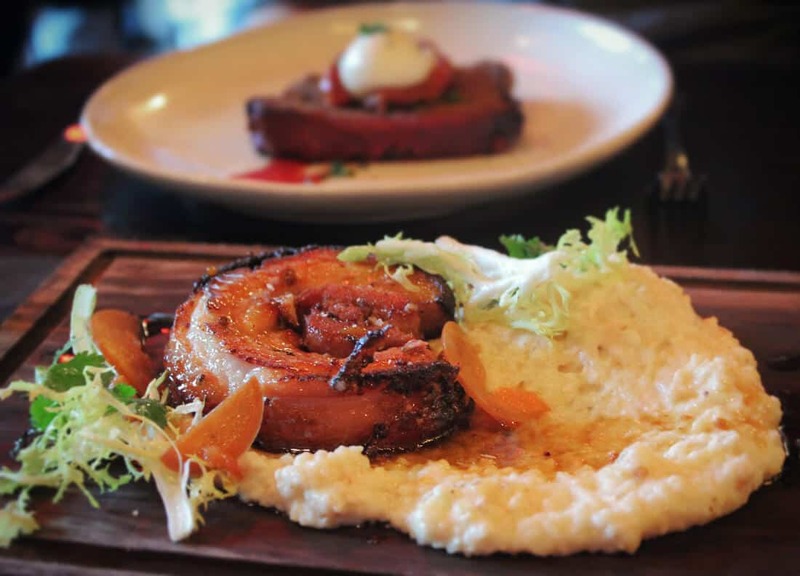 La Cosecha, Paso Robles: There are tons of incredible restaurants in Paso Robles, but this is one of our absolute favoriets. La Cosecha serves up the best South American food we’ve had outside of South America, plus some truly incredible craft cocktails We recommend ordering Honduran empanadas, fresh ceviche, flavorful grilled octopus, and the Clover Club South cocktail, which reminded us of a raspberry Pisco Sour. Yum! If you’re on the Central Coast, you have to get a slice of Olallieberry Pie from Linn’s Bakery topped with a huge dollop of fresh whipped cream. What’s an olallieberry, you ask? Basically it’s a mad-scientist combination of blackberries and raspberries that results in a tart, sweet, totally unique California berry. Ask for 2 forks and extra whipped cream (if you’re me & my husband, at least) and dig in! Remember that scene in Grease at the drive-in movie theatre? That’s gonna be you two! Minus all the angsty teenaged singing, of course. Throw on your favorite leather jacket and poodle skirt and head to Sunset Drive-In to catch the double feature. Stroll hand in hand along wildflower-covered cliffs overlooking the ocean as the salty sea breeze attractively blows your hair directly into your face (or, if you’re one of those genetically blessed Instagram babes, maybe the wind will do something magical and you’ll look like a sun-kissed model goddess with tousled beachy waves. I wouldn’t know, because that’s never happened to me. For the rest of us, bring a hair elastic.) 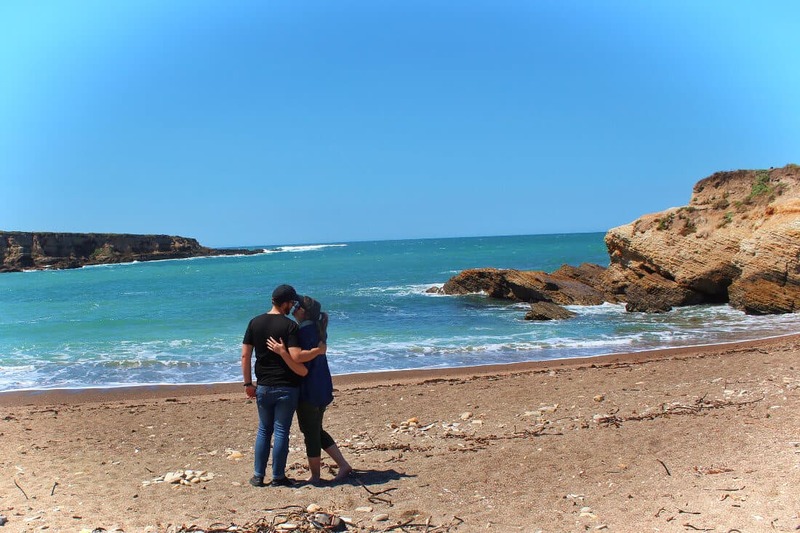 Anyway, beach waves or not, visiting Montana de Oro is one of the most beautiful romantic things to do on the Central Coast. You’ll drive through scented eucalyptus groves right up to the ocean, where you can either relax in a secluded inlet cove or take a seaside stroll on sandy paths, watching the waves roll in. 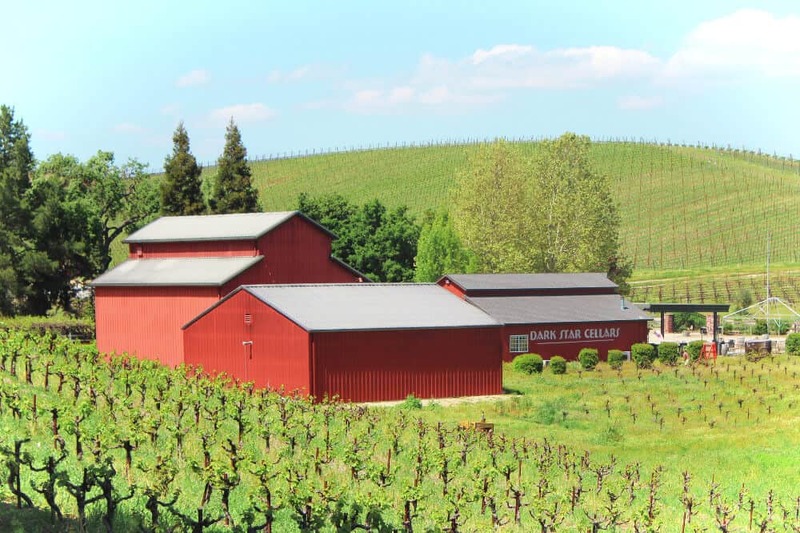 Paso Robles is the Central Coast’s wine country. It’s like Napa, but cheaper and more down to earth. 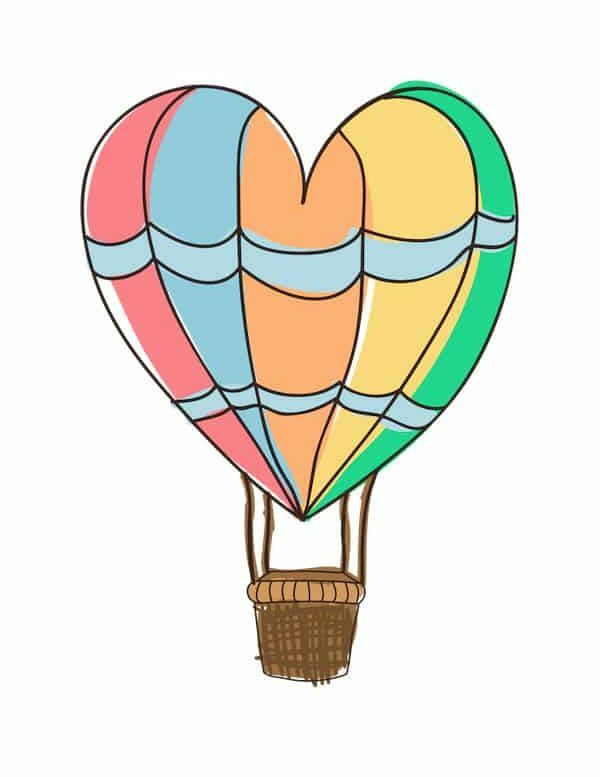 Head over to the best wineries in Paso Robles in your cutest sundress to share a flight or 6 with your sweetheart. Not a wine lover? 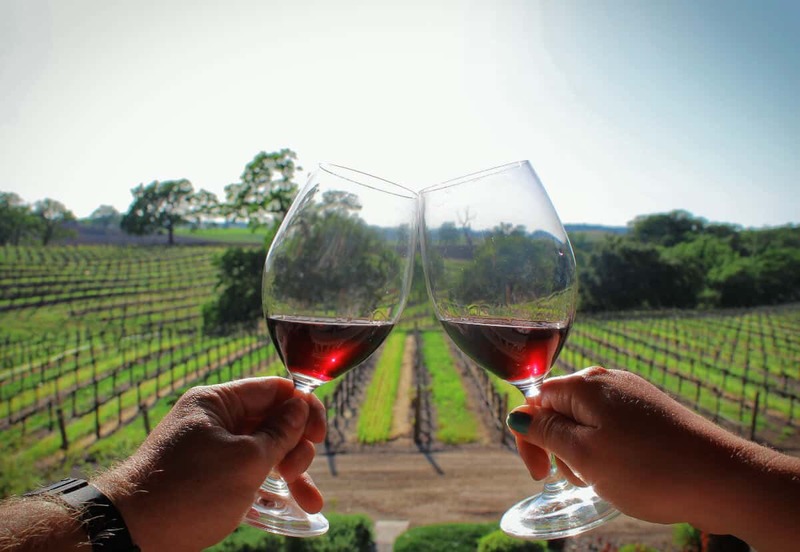 Don’t worry, there’s plenty of other things to do in Paso Robles. Like for example, breweries and distilleries where everything is made out of wine grapes and aged in wine barrels. Yum! So there’s really no reason not to get day-drunk with your boo. You’re a grown-up, and wine tasting is totally just grown-up day drinking. Lean into it. Once you’re sufficiently drunk, grab lunch to go at one of the many delicious restaurants in downtown Paso Robles and have a picnic in the glassy park on the central plaza! 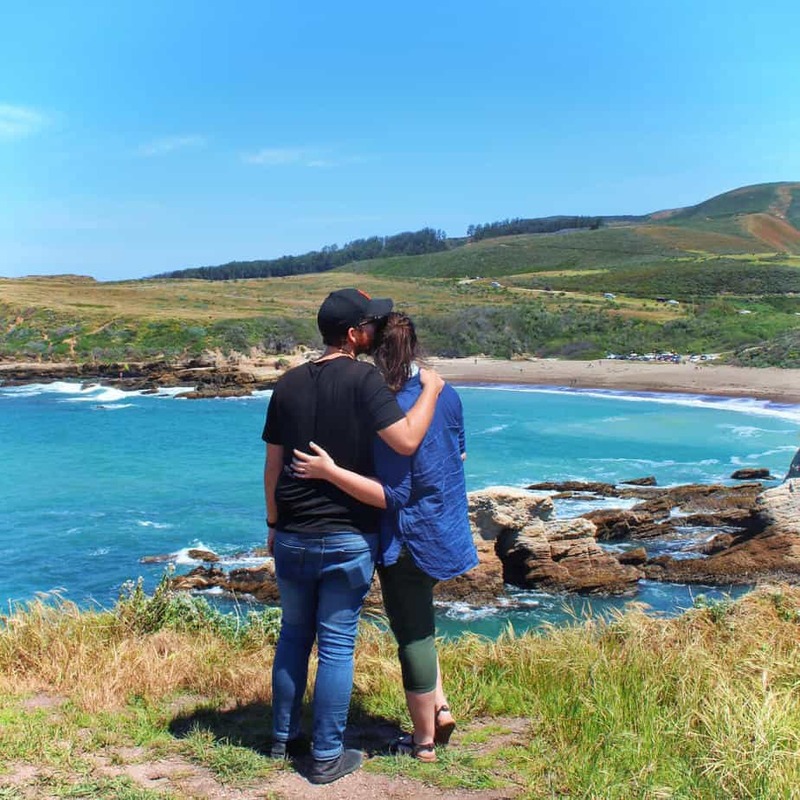 Every time my husband and I hop on the jaw-dropping Pacific Coast Highway to drive down to his hometown on California’s Central Coast, we listen to a playlist created specifically for this purpose. There are a LOT of songs dedicated to taking long, scenic drives in California – for a reason! My husband’s personal favorite is by The Decemberists. Besides famous Highway 1, there are plenty of beautiful romantic drives on California’s Central Coast. 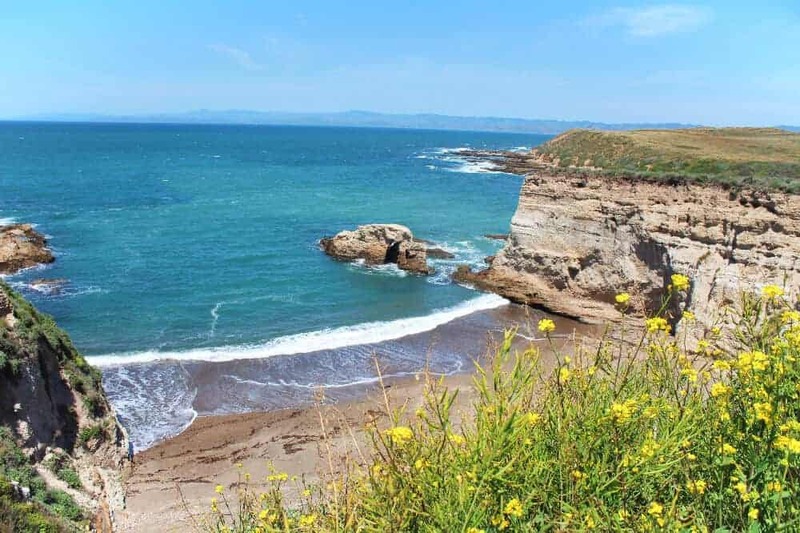 There’s Turri Road in Los Osos, named one of the most beautiful roads in the world by Buzzfeed. Nacimiento-Fergusson road climbs high above Big Sur for even more stunning coastal views. The 46 between Paso Robles and Cambria is a beautiful drive through farms and rolling hills – so long as it’s not completely covered in misty fog! 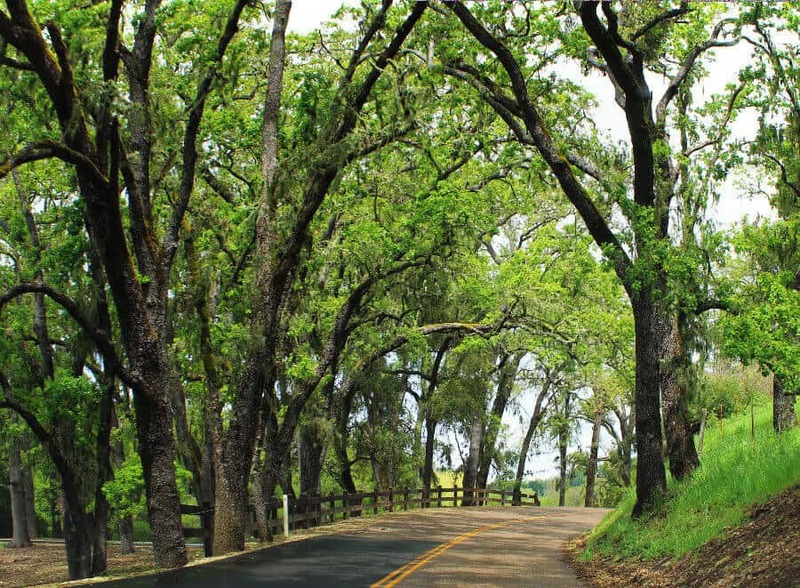 Or take Vineyard Drive or Peachy Canyon Road in Paso Robles to wind through tree-lined hills studded with vineyards in classic California wine country. The West Coast is, for obvious reasons, the best place to catch the sun setting over the Pacific Ocean. And the best place to catch a stunning West Coast sunset is at either Pismo Beach or Morro Bay. 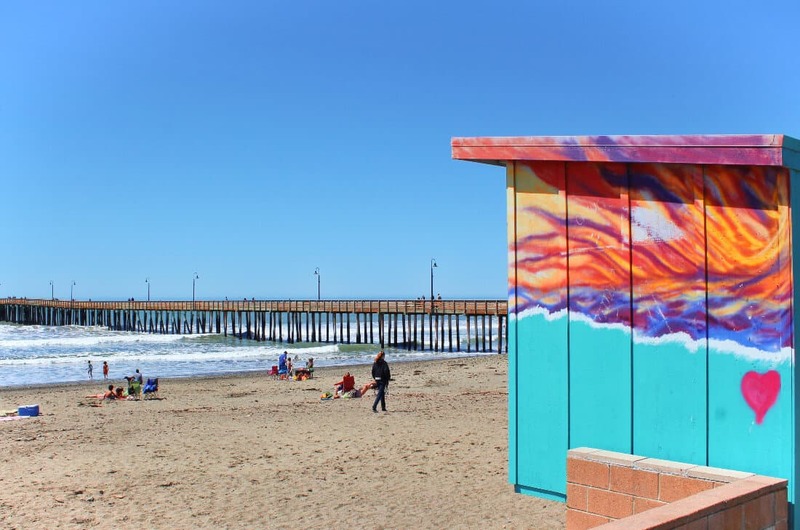 Bring a blanket and cuddle up on the sand in Pismo Beach (it gets cold after sundown!) 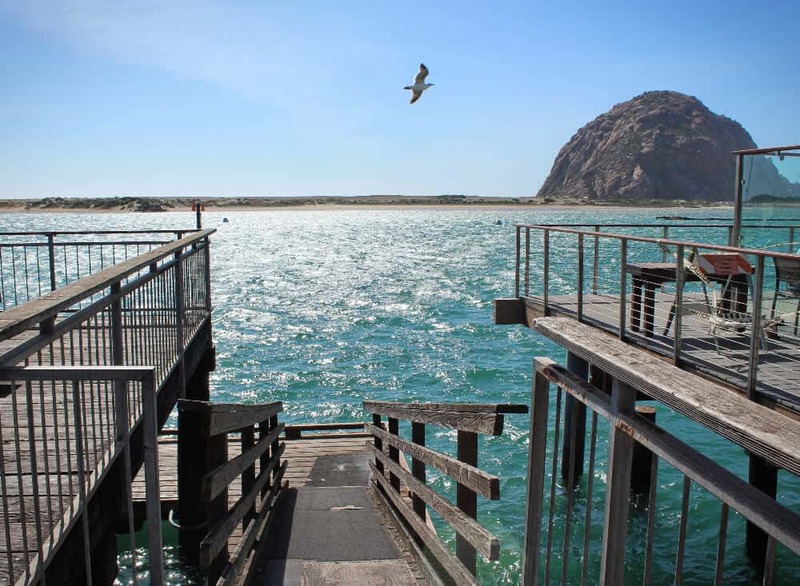 or enjoy the sunset from one of the many ocean-facing restaurants and bars on Morro Bay’s embarcadero. Are you totally inspired to pack a cute sundress (and a jacket, cuz the Central Coast gets cold at night) and head off with bae for a romantic Central Coast weekend getaway? 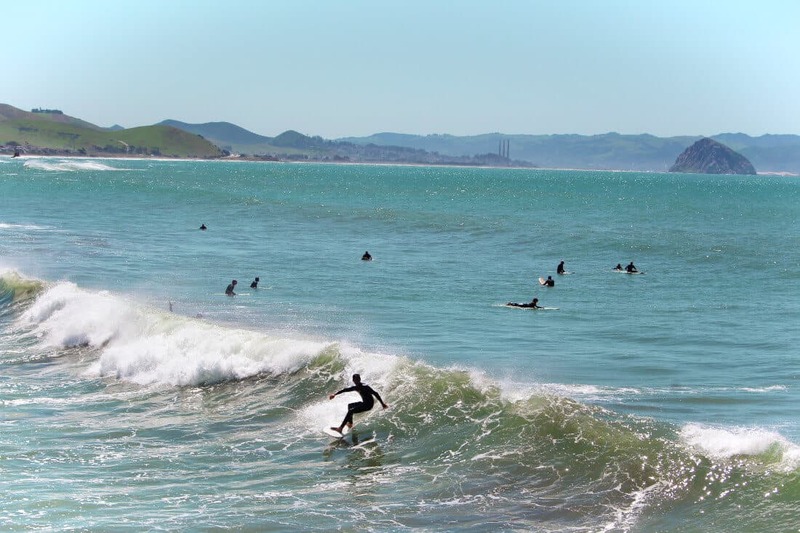 Hey, before you go: for even more travel tips, recommendations, and practical information about the Central Coast, check out our complete guide to Things to Do on the Central Coast. Lia & her husband Jeremy recently returned from a year-long honeymoon. Somehow, in between backpacking through South America, eating their way through Europe, attempting (& failing) to hike the Inca Trail, and accidentally running a car into a castle in France once (oops), they managed to spend a year straight together – like, literally in the same room together, 24 hours a day, for an entire year – and not kill each other. They’re very proud of this achievement. They’ve since settled back in San Francisco where they’re looking forward to talking to people other than each other sometimes and also being in separate rooms occasionally. You can read more about their ridiculous adventures at PracticalWanderlust.com and follow along on Facebook, Twitter, & Instagram! Traveling to Cali? Pin this post to help you plan your trip! This was a great read! We will be in many of these locations in October! We are even more excited after reading this. I love your “about us” section! I’m a travel/lifestyle blogger in SF too, would love to chat!